We decided to try a different Japanese place so that we don't end up always at the same place. 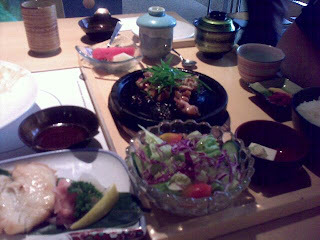 Our Japanese most favorite place is Rakuzen in Plaza Damas. 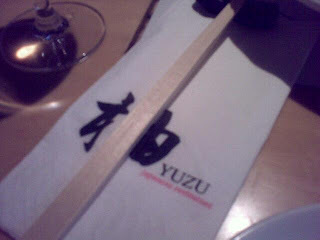 Today we tried Yuzu which is at Gardens mall. 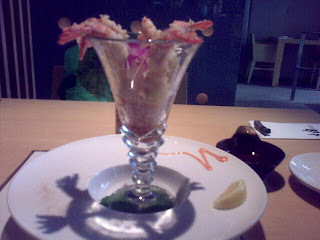 The tiger prawn tempura at rm 35 was pretty good, lots of shrimp inside. We also took one set with chicken teriyaki plus extra gindara fish. The total bill was at rm 109 which wasn't bad. The service was good especially as all the waiters were Filipino! Would surely come back so that we have a different Japanese option. I love all the restaurant posts. My husband always makes fun of me for taking pictures of food - but I want to remember it, so that someday I can recreate. I wish I could reach out and eat one of those tempura! Thanks for your comment! Indeed, the tempura were good! There are so many, many nice restaurants in Kuala Lumpur! Yummy!